Microsoft added another calendar feature to Outlook, after promising the end of Sunrise. 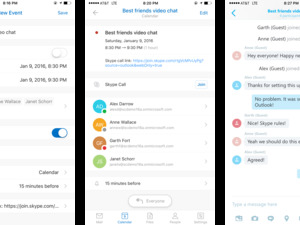 Microsoft quietly updated Outlook for iOS on Wednesday, with support for a calendar widget that makes it easy to see your schedule at a glance. 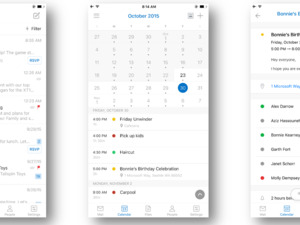 Using the widget, users can pull down on their iPhone or iPad’s Notification Center, and get a quick look at the remaining events in their calendar for a given day, in the order they’ll occur. The widget looks nearly identical to the one in the Sunrise calendar app, which Microsoft acquired last year as part of a string of deals aimed at improving Outlook. It will eventually shut that app down. Events will have their locations listed, along with headshots of attendees, assuming that information is available. As an event draws near, the widget highlights how much time remains before it starts. All-day events get a section of the widget all to themselves, below the scheduled events a user has on their calendar. There’s a big plus-sign button in the upper-right corner of the widget that lets them add a new event to their calendar, too. Tapping on an event will bring users to the page inside Outlook for iOS with the full details for the event in question. It’s a good way for users to get a handle on what their schedules look like while they’re out on the go. Today widgets were first added in iOS 8, and they’re designed to give people a quick look at key information, like their calendar. The new feature should be something of a comfort for Sunrise users who are worried about losing features from the popular calendar app. Microsoft hasn’t said exactly when it plans to end support for the app it acquired last year, but the company has put Sunrise users on notice that it will leave the market after its features get “fully integrated” into Outlook.